Everything that has a beginning has an ending. Now we are nearly finishing one more challenging course of our Master program. The word “challenging” has more positive meaning in relation to English for Thesis writing. I find the given course instructed by Philip Montgomery very helpful in terms of improving writing skills, taking over my laziness, building up my research skills and encouraging for further improvements. Certainly I was not skillful in writing thesis which is highly complicated work to deal with. Before taking up this course I was just swimming in the bottomless ocean of the research having no proper understanding of writing. I used to think my thesis would never move from its anchoring point but would end anyway. In summer session of this academic year we have started this course. At the very beginning I was thinking that we were doing nothing helpful for thesis and blogging could not solve our problems. However our considerate instructor changed the mode and pace of our work. Week by week we faced new difficulties and fight with them. The utmost difficulty of the course was a fight against my laziness and reluctance to do anything. I was breaking my head over finding inspiration and time to write blogs. The beginning was the hard time thinking about “To Be or not to Be?” But In short time I understood that my instructor is a “hard nut” who makes his mission possible” to encourage every student to work notwithstanding any fact. Then I started to do my best ever. If I used to make myself work on assignments at the beginning, I started to do them easy and naturally by the middle. I think the time spent on online assignments is not in vain. I could improve my writing, research and online learning skills. I am very thankful for Mr.Montgomery for his quick responds, constructive ,critical comments and smart ideas to make each sentence laconic. I do not know how this course will end in terms of grades, but I know it will end productive for me. I benefit from the course pretty much which implies well ending. I would like to share my first experience of conducting mini research to study the teaching and learning challenges in online education. I have chosen 2 volunteer teachers who are striving to make online education widespread in our school. However they claim that they face challenges working online and much effort should be done to achieve their goals. I interviewed them and experienced the difficulties myself too. The first difficulty I faced was the development of interview questions. I spent hours on thinking how to construct the questions so that they helped me to answer my research questions and sub-questions. Moreover, it was challenging to avoid biased and leading questions. The pre-interview period was followed by the interview process itself. Probably, because it was my first experience as a researcher the first thing I forgot was to record the interview. By the time I realized the absence of the tape recorder I started to take notes spontaneously. But it was a lesson for me and prepared the tools in advance for the second interview. One more weakness of my first interview was that I acknowledged the interviewees about the confidentiality and ethical issues in the end of the interview. In addition, I made an agreement about the interview a few days ahead; however, we couldn’t meet at the set time. Despite the fact that I had a good proximity to the research site it was not always possible to meet with interviewees. The reason for this was that teachers were overloaded with school work. Although, I had different challenges during the interviews, there were advantageous moments. Interview provided me the opportunity to investigate the main phenomena from different perspectives. I had a chance to ask follow-up questions which helped me to understand teachers’ attitudes and experiences in detail. Summing up, it was a challenging but learning experience for me at the same time. I could feel myself as a real researcher. Also, I understood the important aspects of data collection process which I need to consider further. Edmodo is recognized as an educational platform designed to connect students and teachers in school learning environment. It was founded in 2008 by Nic Borg, Jeff O’Hara, Crystal Hutter in Chicago, Illinois to encourage the balance between the needs of contemporary society and education. Currently, the Edmodo links about 60 million users around the world who get and share knowledge (About Edmodo, 2015). Being useful in practical sense, the Edmodo creates the free and mobile conditions both for learners and teachers in the classroom as well as outside of the school. It is applicable to different subjects as teachers can post the home assignments, files, classroom resources, notes and even polls to gather sufficient data. Moreover, teachers do not have to send individual e-mails to students or make appointments for group discussions if they properly use the Edmodo post. I have been practicing Edmodo for two academic years and would recommend to educators to imply it in the classrooms. However, I would say that the efficacy of the webpage would be doubled if to add the options to see the students’ visit time. Thus, teachers would be ensured about the students’ awareness of the last posts. Considering from local perspective, I would not say that Edmodo is popular technology in all educational institutions in my city. No or slow access to the internet, lack of computers, low rate of computer literacy, lack of competence in IT technologies are the core reasons for Edmodo’s low level of usage. To overcome the current situation, it is not enough to supply schools with necessary equipment and other resources if teachers are not motivated and initiate the implementation of such innovative technologies in teaching and learning process. Literature review is the most challenging and utmost part of research work to my mind.I tend to think that ultimate success or failure of any research study directly depends on reviewing various kinds of scientific and research papers related to target topic. Since last year Literature review became an inseparable part of my academic life. I have been having a long journey with a huge amount of research papers.I simultaneously experience difficulties in this journey and benefit a lot from exploring novelties.respectively I made a conclusion of my current track. On the one hand, Literature review in research writing needs a lot of effort to make. The most difficult thing of this very part of research paper is time issue. It is quite time-consuming work to deal with and get the relevant point for your topic. Personally, being a freshman in research field during my first year of Master’s program I read all literature mentioning the key words of my research paper recklessly. Thus I lost my time, patience and desire to study since it was very confusing and tiring. Besides, to find a source agreement is another trouble concerned Literature review. If one author demonstrates very essential finding and novelty, you become enthusiastic to find another source to support that report. However it is not always possible to find the source sharing the same claim. Again much time is needed to search for relevant paper. On the other hand, Literature review is greatly aiding me in my research writing process. First of all, it helps me to scrutiny my study topic from different perspectives and find sources illustrating outstanding findings and conclusions. Reviewing diverse resources enables me to enhance my knowledge and find a right track. Literature review made me once change my way of researching my topic and change research questions entirely. I caught a focus on specific theme and my research about teachers’ challenges in CLIL was going systematically then. In addition, reviewing different literature I became aware of different challenges which CLIL teachers face in classrooms. Consequently, I divided my Literature review part into subtopics according to challenges. Moreover through reading research papers I taught me to correct style of writing academic papers and enlarged my Vocabulary. Daily review of books, articles and research works is also broadening my outlook as well as moving forward.As to my stage of doing literature review I am just taking up it since recently I have changed my topic. More you know about APA, more you get confused! I first encountered APA style when I was a third year bachelor student at the University of International relationships and World languages in Almaty. That time all our APA studies were merely about numbering pages, running titles and fonts. No teaching was around citing another writer’s reports properly and referencing correctly. Students’ course final papers and diploma works included countless numbers of other authors’ sayings and research findings, however none of them was quoted according to APA style format. The most exciting matter is that any student was not blamed for plagiarism. Once I took up Master’s program at Nazarbayev University, I became aware of other “dark” sides of APA, consequently I totally changed my perception of citing and referencing. APA is one of the most powerful “legislative documents” in academic and research fields. 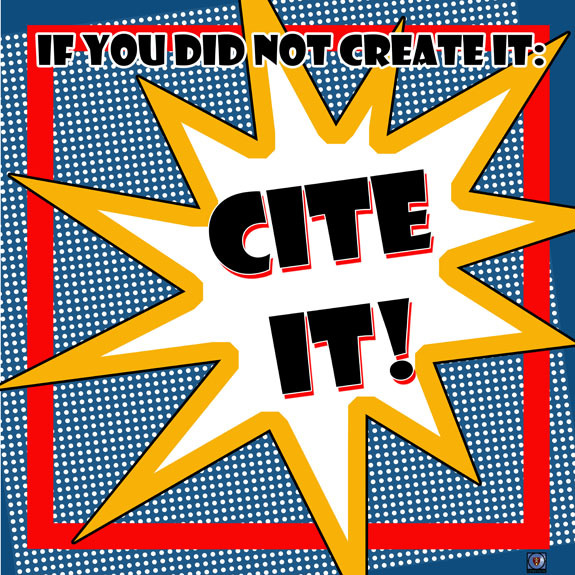 Incorrect quote and reference or in other words “plagiarism” entails strong critique and student drop out. Personally I experience various challenges in using APA format for my University papers. The most paramount difficulty is the complexity of the style. It is excessively confusing and time consuming thing to get familiar with the whole APA format. In my mind it is too complicated to memorize all the details and differences of citing books and articles, essays and research papers with one author or many of them. In addition, plagiarism is highly prohibited issue in academic deals. In order to avoid plagiarism researchers and students are supposed to paraphrase other authors’ words. In such cases the most difficult thing for me not to lose the idea while changing the words. However not everything is unpleasant about APA style. Being a systematic way of “documenting sources used in any academic paper”, APA regulates researchers’ rights in each and every field of science.Retrieved from https://www.library.cornell.edu/research/citation/apa. APA is like an endless maze for me, more you go ahead, more difficulties are faced. Therefore I recommend students who are just beginning to working with APA to devote as much time as possible to study it. Refreshing APA knowledge and using your thoughts are also should be borne in mind of every researcher. Online learning is a brand new type of getting and giving knowledge applying means of technology. It plays vital role in increasing whole population’s literacy rate and opening new horizons. Online learning is serving as a catalyst in Education sphere of many countries giving a great jerk to the paused development of the field. Endless talks can go around the benefits and strengths of online learning. Applying online learning in teaching process is having a revolutionary impact in teacher professional development. Instead of having long and tiring interactive classes with learners, teachers spend more time on self- study and development. Through surfing the Internet, educators become aware of the latest novelties in Education, Science and other spheres. According to Misko et al (2010) the main benefit of online learning is providing opportunity for students to study at the convenient time for them leaving time to do other deals. Notwithstanding the fact that computer facilitated learning is considered as an ideal style of learning in contemporary society, there are numerous unexpected negative outcomes related to the given type of learning. Online learning is successfully being taken up in all countries, a great financial input has been made, any way this mode of learning is succeeding not everywhere. The rationale for this is ill-conceived policy program, lack of qualified, computer-literate teachers and learners’ attitude toward computer-based learning. In such critical situation, policymakers all over the world seek for the ways of solving this very problem. One of the alternative solutions is to study and compare the situation with analogic reform elsewhere and benchmark the best practice. The research paper written by Misko, Choi, Hong and Lee is examining and comparing online learning process as well as finding out teaching and learning challenges related to studying through multimedia in Australia and Korea. Aforementioned authors report about difficulties of online learning. They claim that in spite of advantages of learning online, there are various difficulties entailed by this type of getting knowledge. The problems are connected with the lack of qualified teachers able to teach online, time and money resources and technical problems as well. To demonstrate, if students have no access to the Internet, learning process is stopped. Moreover students and teachers feel themselves stressed with tasks written in unclear language and finding a right track in doing them. Since there is no face to face interaction, students cannot ask for help and fail often. Such unpleasant situations have negative impact on students’ performance and leads to poor Education quality. Teachers also complain about absence of face to face interaction considering them very important in teaching. They claim that learning online leads to low morale of the students. Besides, many teachers are not professionally prepared to teach online. They are lack of computer skills and techniques of teaching online. Another research conducted by Liyan Song et al(2004) among online students found out various challenges connected with Internet based learning. These authors listed challenges related to absence of community sense, ill-given instructions and problems of broken computers. Students of these days are not totally ready to change their attitude toward studying. Having interaction with instructors is very significant for all students. Learners cannot have Internet access everywhere and not all groups might have learners with the same abilities. Most students find it difficult to understand the task properly in online environment. Online students encounter more challenges rather than traditional class ones. Experiencing learning difficulties made students lose motivation and to be dismissed. Summing up, challenges related to online learning exist worldwide. There are plenty of political, financial and natural reasons causing these difficulties and impossible to be addressed. Therefore it is impossible to have an ideal online learning environment. The most adequate suggestion in this case is to apply blended learning which includes the elements of online and traditional learning as well. The purpose of this qualitative study is to examine NIS teachers’ insight of Trilingual education through teaching non-linguistic subjects in second and foreign languages, identify educators’ challenges facing in teaching content in languages and present the ways of preparing teachers in content-language classrooms well. The aim of this case study is to review relevant literature on Trilingual education and content-language teaching topics and on the ground of empirical knowledge put a scientific basis of this brand new study in Kazakhstan. The findings of this research will facilitate content-language teachers to cope with their works successfully and the special toolkit for teachers will be prepared relying on the results of the study. The various models of teaching content in second and foreign languages as a part of Trilingual education are widely used in Nazarbayev Intellectual schools. It is clearly stated in annual reports of autonomous education organizations that Trilingualism policy is the most significant activity in NIS system. Since Trilingual education was implemented in 2013 necessary documents were developed, linguistic and non-linguistic teachers have attended preparatory courses about teaching content through language and the clear methodology of immersion programs. Teachers from Intellectual schools of Astana, Karaganda, Uralsk, Taraz and Shymkent had seminars with well-known international instructors of CLIL and teachers of the subjects “History of Kazakhstan”, “World History” and “Geography” and 12 employees of CEP on immersion programs. Applying Immersion programs and CLIL approach is very effective in terms of widening cultural context and preparing for internationalization. Steve Darn elicited heterogeneous benefits of the content teaching language approaches like improving overall or specific language competency, developing multilingual interests and increasing learners’ motivation. However the teachers who work with this new learning approach worldwide face conceptual and methodological challenges in teaching content. Kazakhstani Nazarbayev Intellectual Schools are not exception on this issue. NIS teachers of Taraz have challenges and concerns due to the lack of unclear strategies and expectations of the CLIL program, many of those teachers cannot fluently understand the model and do not know what content-obligatory language to use, what language to ask questions and instruct students in and weather to assess students’ language level or subject knowledge in content teaching classrooms. Moreover, due to the deficit of professional content teachers who can teach in Russian or English, language teachers are involved to deal with teaching content in second and third languages. Ill-instructed and unprepared teachers mostly pay more attention and keen to assess language knowledge. Therefore it is very important and cruical to study the topic of content language integrated classrooms for the sake of future development. Firstly,international teachers who are assisting local teachers in team teaching are going to live next year. Local teachers with poor level of foreign language need to develop the methods of teaching content through second language themselves. Secondly, from the next academic year all the mainstream schools are going to adopt this model to teach science subjects in the second language of the learners. Teachers of those schools would face double challenges .They will need lots of trainings,PD courses before to implement this reform. My research will help to put the basis of research on Trilingual education,basics of CLIL approach and enable NIS teachers and other teachers as well to get familiar with the main techniques of it.